In 1987, Harold Winston (1945- ) was elected USCF president. In 1987, Meindert Niemeijer (1902-1987), died. He was a Dutch chess bibliophile. In 1987, Anna Akhsharumova (wife of GM Boris Gulko) won the U.S. Women's Chess Championship with a perfect score. She won the Women's Soviet Chess Championship in 1976 and 1984. She is the only woman to win both the Soviet and the U.S. women's title. In 1987, Gata Kamsky (1974- ) won the US Junior Championship at age 12. In 1987, Grandmaster Tony Miles (1955-2001) was arrested at 10 Downing Street in London after trying to get in after midnight to talk to British Prime Minister Margaret Thatcher about payments owed to him by the British Chess Federation. He was eventually hospitalized for two months from a mental breakdown. In 1987, Beliavsky and Salov won the 54th Soviet Championship, held in Minsk. Beliavsky won the play-off. There were 18 players. In 1987, Grandmaster Miguel Quinteros (1947- ) of Argentina was suspended from FIDE events for three years for violating the FIDE ban on South Africa twice. He played a 6-game exhibition match in Johannesburg in 1988. In 1987, Spanish writer and International Master Dr. Ricardo Calvo (1943-2002) was condemned by FIDE and declared Persona non Grata (an unwelcome person) by a vote of 71 to 1. The penalty was imposed for his racial attack on Latin Americans in a chess magazine. He admitted that he violated election ethics by offering free Kasparov simultaneous exhibitions to certain countries in exchange for their voting for Mr Lucena for FIDE president (Campomanes' opponent) in the recent FIDE elections. He also erroneously charged that a Latin American woman was beaten up by supporters of FIDE President Campomanes. In 1987, Ronald Young and Bernard Zuckerman tied for 1st in the Manhattan Chess Club championship. 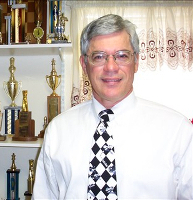 In 1987, Jay Bonin won the Marshall Chess Club championship. In 1987, Joel Benjamin and Nick de Firmian won the U.S. championship, held in Estes Park, Colorado. In 1987 CHIPTEST-M won the ACM computer championship in Dallas. In 1987, Major Bill Wall won the Central Pacific Armed Forces Championship in Mare Island, CA. In 1987, Air Force Staff Sergeant Emory Tate (1958-2015) won the 28th US Armed Forces championship. Air Force won the team championship. In 1987, Korchnoi won the Interzonal Tournament in Zagreb, Yugoslavia. In 1987, Martinovsky-Jansa, Gausdal 1987, played a drawn game that lasted 194 moves. On January 13, 1987, GM (2005) Radoslaw Wojtaszek was born in Poland. On January 15, 1987, the 49th Hoogovens international was held in Wijk aan Zee. Viktor Korchnoi and Nigel Short tied for 1st. On January 29, 1987, Jan Hartong died in Rotterdam. He was awarded the International Master in Composition title in 1959. In February 1987, Nigel Short won the Reykjavik international. On February 2, 1987, Yakov Estrin died in Russia. He was the 7th World Correspondence champion from 1972 to 1976. On February 27, 1987, Yasser Seirawan won the Lugano international. On March 1, 1987, the first national championship (US Amateur Championship) was directed by a computer. On March 12, 1987, GM (2001) Teimour Radjabov was born in Azerbaijan. On March 15, 1987, Maxim Dlugy won the National Open, held in Las Vegas. On March 26, 1987, Anatoly Karpov defeated Sokolov in the Candidate's final match in Spain. On March 31, 1987, GM (2002) Humpy Koneru was born in India. On March 31, 1987, GM (2004) Wang Yue was born in China. In April 1987, Walter Browne tied for 1st place in the National Open in Las Vegas. He tied with Joel Benjamin, Maxim Dlugy, Sergey Kudrin, and Cyrus Lakdawala. There were 274 players in the event. On April 6, 1987, GM Predojevic Borki was born in Bosnia. On April 9, 1987, Seirawan and Adorjan tied for 1st in the New York Open. On April 25, 1987, Kasparov and Ljubojevic tied in the 2nd SWIFT international, Brussels. On May 27, 1987, Ilan Kreitner (1936- ) won the US Amateur championship, held in Knoxville. On June 26, 1987, Boris Gulko (1947- ) won the World Open. On July 1, 1987, GM Evgeny Tomashevsky was born in Russia. In August 1987, Viswanathan Anand won the World Junior championship, held in Baguio City. On September 19, 1987, Mikhail Yudovich (1911-1987) died. He was a Russian chess master, journalist, and writer. He was awarded the titles of International Master (IM) in 1950, International Master of Correspondence Chess (IMC) in 1961, and Grandmaster of Correspondence Chess (GMC) in 1973. On September 20, 1987, the 7th world microcomputer chess championship was held in Rome, Italy. It was won by Psion. On October 8, 1987, Susanto Megaranto was born. He is an Indonesian GM. On October 12, 1987, the Kasparov-Karpov world championship match began in Seville, Spain. In November 1987, the 23rd American Open, held in Santa Monica, was won by Yasser Seirawan. In December 1987, Garry Kasparov retained his world championship title. The prize fund was 2,280,000 Swiss francs. Both Karpov and Kasparov got a mere 137,000 Swiss francs each. The rest of the prize fund went to the Soviet Sports Committee. On December 5, 1987, Ariel Avigad-Vernon, (at age 7yrs, 237 days) beat expert Nick Dumyk. On December 9, 1987, GM (2003) Hikaru Nakamura was born. On December 11, 1987, GM (2007) Gawain Jones was born in England. On December 19, 1987, Garry Kasparov drew his world championship match with Karpov to retain his title.